This article applies to UK and European transmissions. This article refers to interference "lines" on the picture. It does not refer to "sparklies" or "Fischen". For advice about "sparklies" please read the "Sparklies" FAQ. A lot of interference can be eliminated completely by replacing substandard satellite and TV cable with good quality, double-screened cable, including RF leads. You should also avoid wall plates because the tiny stub of exposed centre core wire will pick up interference. Run both TV and satellite cables directly into the satellite receiver without any joints. If a wall plate must be used, throw away the guts and glue a female plug in the hole. Fit the cable end into this plug and solder the inner core. In this way, you keep the core fully screened. This applies to both "F" wall sockets and UHF wall sockets and surface boxes. SatCure stocks wall plates with the correct fittings - unlike the one in the picture! >With regard to the installation of the TV-Link extender unit, just a quick question. >the cable used for the satellite installation) ? Interesting question but there's no quick answer. In the good old days before satellite, you could get away with almost any crappy coaxial cable. 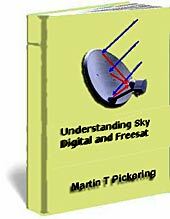 However, satellite receivers tend to radiate some interference, locally, so it's best to use good quality, double-screened cable within a couple of metres of the satellite receiver - otherwise its radiated "noise" gets into the cable through the poor outer screen. This problem also suggests that coaxial wall sockets should either not be used or should be of the fully-screened type. In addition, the down-lead from the TV aerial should be double-screened near the satellite receiver. This brings up another point: terrestrial digital TV transmissions are terribly susceptible to problems with car ignition interference and of switching transients within the building. This fact dictates that the complete run of cable from the aerial down to the first box that it plugs into should be double-screened and *without* any in-line connectors or sockets. NO coaxial cable should be run close to any mains power cables since these radiate switching transients which can knock out a digital picture and even "lock up" the receiver. So, in answer to your question: if the installation already uses single-screen cable you can try it and see if it is OK. If it is not OK or if you are installing new cable then *always* play safe and use the best double-screened cable available. If you need to use a distribution amplifier then at least two factors must be considered. 1. It must be suitable for digital signals, if that is what it is distributing. (The signal from the terrestrial aerial must be considered "digital". The RF output from a digital box is currently NOT digital - goodness knows what it will be in the future when all TV sets accept a digital signal). 2. It must be able to pass the signals from a "Remote Eye" or TV Link extender - even if you don't use one now, you might want to in future. Alternatively, you could fit a "Bypass" unit but this *might* have a detrimental affect on the signal because it adds two in-line connectors. Interference from Astra 1D can occur on the terrestrial TV picture because a Standard (10.000GHz) LNB converts the 1D band (lowest) frequencies down to UHF frequencies in the same band as TV channels 49 to 69. Reception areas covered by these terrestrial channels can suffer from interference. Interference from satellite transmissions on terrestrial TV pictures often appears as a faint grey picture which "floats" across the screen. You may see only faint wide bands floating across the screen. If the receiver has a 2GHz tuner, the simplest remedy is to replace the Standard LNB with an Enhanced (9.750GHz) LNB. If this is not possible, you can eliminate the 1D channels by fitting a 1D filter in the satellite cable. The filter is most effective when fitted next to the LNB, since otherwise the satellite cable may radiate interference along its length - possibly into the TV cable belonging to a neighbour as well as the owner's. However, the 1D filter obviously prevents reception of any 1D satellite channels! If reception of 1D band channels is required with a receiver that has no 2GHz tuner then the only answer is to use a frequency converter such as the ADX Plus "Channel Expander". This can be used with a Standard LNB but the risk of interference is still there. To avoid the possibility of interference, use the ADX Plus with an Enhanced LNB. The disadvantage of this is that the Enhanced LNB moves all channels up by 250MHz and the ADX Plus moves them back down by 500 MHz. The result is that ALL channels will have to be re-tuned by either 250MHz down (Astra 1D with ADX Plus off) or 250MHz up (Astra 1A, 1B, 1C with ADX Plus switched on). Interference on Satellite channels can be caused by too strong a terrestrial signal. Unplug the aerial to check. Try fitting a UHF attenuator between the TV aerial cable and the satellite receiver UHF input socket. Interference from digital terrestrial transmissions can make your satellite picture look "grainy". Try tuning your satellite receiver RF output to a different UHF channel number or use a Scart. "Grainy" satellite pictures via UHF can be caused by interference from terrestrial digital transmissions. Try disconnecting the terrestrial aerial. If tis cures the problem, retune the satellite receiver UHF output frequency to a different UHF position, then retune your Video recorder and TV to match. Interference on terrestrial Television channels can be removed or reduced by fitting a mast-head amplifier to the TV aerial. If the terrestrial signal is already strong, you should also fit a UHF attenuator to the satellite receiver aerial input, as described above. Interference or patterning on Digital pictures should not occur. If it does, connect the digital box to your TV via a Scart cable that has screened video wires inside. If your TV accepts RGB input, select "RGB" in the digital receiver menu. For all cases of interference, you should test the receiver in a different location before assuming that it is faulty. If you are absolutely certain that the interference is within the receiver itself and if it has appeared gradually, then the most likely cause is electrolytic capacitors which have aged because of heat. All electrolytic capacitors have a limited life and need to be replaced periodically. The largest capacitors in the power supply are most likely to fail first. A RELKIT capacitor kit is available for most models. 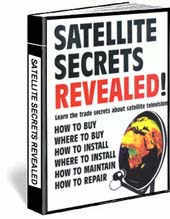 Unplug the TV aerial cable and RF output cable from the satellite receiver and plug them together to bypass the satellite receiver and note the result. Unplug the satellite receiver from the mains power supply and note the result. Unplug any scart or Phono (RCA) connections from the satellite receiver and use the RF connection instead. If there is an improvement, try using a very short, partially-wired scart lead instead. Make sure than no unused wires are connected inside the scart lead; for example, pin 19 of the plug that goes into the television should never be connected. Bypass the video recorder and connect the satellite receiver direct to the TV. Bypass the satellite receiver and connect the TV aerial direct to the TV. Move the satellite receiver as far from the television as possible. Make your own RF leads from double-screened satellite cable. Replace the television aerial cable with double-screened satellite cable or, if this is not possible, replace as much of it as you can reach (ideally, the bottom 3 metres). Use a proper connector if you have to join two sections of cable. "Nile TV" affects Sky Sports, "ESC" affects "Movie Max" and "Egypt TV" affects "UK Living". Sky Premier suffers from a "warbling" sound. Channels can also suffer from picture interference in the form of "sparklies", "streaks" or "shadow pictures in the background". The answer is to get the dish aligned accurately. The adjustment is *very* critical. A spectrum analyser may be needed in some cases. If adjustment is not possible because the dish is twisted or poor quality then the only answer is to fit a new, good quality dish - possibly slightly larger to give a narrower beam width. Another possibility is to try a different type of receiver, since some are better than others at rejecting this type of interference. Anyway, bottom line is that the dish is either distorted or badly aligned or both. Note that HOT BIRD 5 is also high power and is likely to cause problems with 10 degrees East. Occasionally you might experience degradation or complete loss of picture during certain hours - repeated each day or each week. Sometimes this affects ALL channels and sometimes just a few. First, make sure it's not just a problem of ALL vertical or ALL horizontally polarised channels affected. The usual cause of time-specific interference is a local microwave transmitter. This might be several miles away and your dish might be seeing a reflection of the actual signal - it doesn't need to be directly in line with the offending transmitter. The transmission could be from a local company which transmits its weekly report back to head office every Friday evening (for example). You will probably not be able to locate the cause. To test this theory, place your dish (or another dish) on the ground and connect it to your receiver. If the interference disappears, reposition the dish in a permanent position where it does not suffer from the interference. The shielding effect of walls can be significant but they can also reflect. Keep the dish as low as possible. 1. The positioner counts too many pulses and does not reach the satellite position. This is often blamed on the positioner as "loses its memory." 2. The motor causes interference on the TV picture and possibly on neighbouring TVs and radios. The main cause of interference is the use of unscreened caravan cable or telephone cable. The remedy is to use proper screened cable. The motor wires should have a screen as a minimum. The pulse wires and polariser wires should also be screened separately. All screening braids should be connected to ground at the receiver only. They should not be connecting to the dish. The dish assembly should have a separate ground connection to a copper rod in the adjacent soil. It is impossible for me to guess at the reason for picture interference if it is caused by your faulty installation. These notes are designed to help you to solve the problem by yourself. Please read them carefully. Carry out the tests and make notes. If you still need to write to me, be sure to explain your tests and test results in ordinary non-technical English. Paint a picture in words. I can not guess what you are seeing with your eyes. You must describe it in detail, without using "looks like" phrases or technical terms. Use ordinary words to describe what you see. Be sure to mention colour, size, thickness, orientation, position, quantity and movement of interference lines. (If you are not English, simply do your best. I understand a little German and a (very) little French and Spanish.) It is also important to tell me exactly what equipment you have and how it is all connected together. If you don't even know whether your LNB is "standard 10.0" or "enhanced 9.75" then you are wasting my time. Find out then come back.